If your feet have low arches or arches that are completely flat and touch the ground when you walk, then you may have suffer from what medical professionals call pes planus which is also referred to more commonly as fallen arches or or flat feet. Having fallen arches or flat feet is more common than you might think. Did you know that it is estimated that up to 30% of the population have this condition? Whilst the majority of people with flat feet are born with them, you can still develop flat feet at any age. There are many different things that can cause you to develop this foot condition such as irregular gait, biomechanical imbalances, trauma or repetitive strain to your foot, obesity or an injury. This is because these things will usually cause your arch to weaken and collapse as a result. Most of the time having fallen arches isn’t anything for you to worried concerned about as having flat feet doesn’t on its own cause foot pain. However, if you do have fallen arches it can leave your feet more prone to biomechanical imbalances such as excessive pronation. Excessive pronation in your feet can cause you to develop foot injuries due to the increased strain that this causes on your feet. One of the most common injuries your flat feet can cause is plantar fasciitis. This injury affects the plantar fascia that stretches across the arch of your foot. The plantar fascia is one of the strongest ligaments your body, it spans the length of the arch of your foot and is essential to your foots overall function. The plantar fascia acts as a shock absorber and supports the rest of your foot whilst you walk. If you have flat feet you are also more prone to over pronation during the gait cycle which can lead to excessive strain on your plantar fascia ligament. Overtime this strain can damage your plantar fascia making it inflamed, sore and painful, when this happens usually it means that you have plantar fasciitis. Plantar fasciitis is just one example of many foot injuries which you can develop thanks to this foot condition. If you have flat feet you can help protect yourself from developing painful foot injuries by wearing arch support insoles. 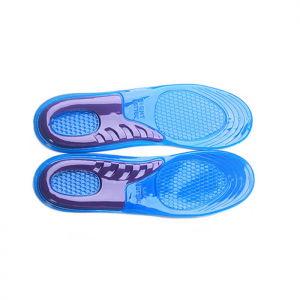 Wearing arch support insoles is often recommended by foot specialists such as podiatrists, this is because wearing a good pair of insoles insoles inside your shoes is one of the best way to support and take strain off the arch. 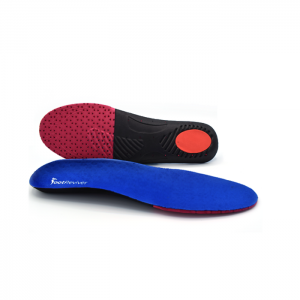 Arch support insoles will also help to prevent common biomechanical imbalances in your feet such as excessive pronation for occurring when you walk. 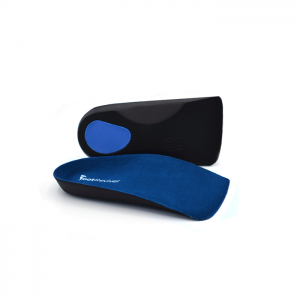 Insoles do this by using orthotic support technology to realign your feet into the correct position when you walk. 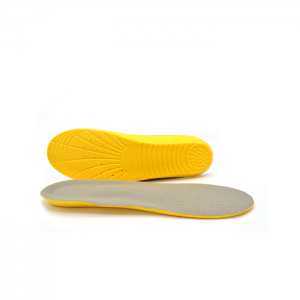 You can find a range of the very best arch support insoles in our hand picked selection below. 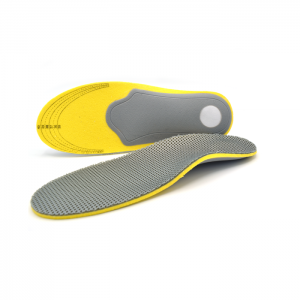 Our Shoewawa insoles are ideal for those with flat feet and have been made with the very best medical grade materials that have been ergonomically designed and rigorously tested to ensure that your feet are given very best comfort and supported naturally. When purchasing from Shoewawa you can shop with confidence because all of our insoles come with a guaranteed no questions asked 30 day money back guarantee. If for whatever reason whether the insoles did not fit properly inside your shoes , failed to ease your foot pain or simply weren’t up to your high standards then you can return them to us to get a complete refund. We also promise to refund any delivery charges (within reason) that you may incur. This means that when you buy a new pair of insoles from us you have nothing to loose but everything to gain! You can browse our extensive range below. You will be so happy that you did! 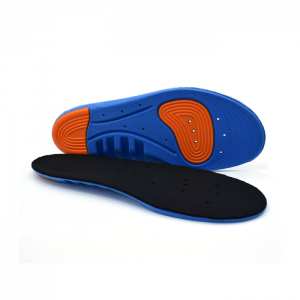 If you are unsure and are having any trouble picking the right insoles for you, then please do not hesitate to contact us via out contact us page or through our forum as we are always happy to help.